If you've been following along at all, you've probably noticed that TigerIQ is a big fan of ansible and Ansible Tower. Recently I encountered a little problem. We were dealing with an environment with both Windows and Linux machines. 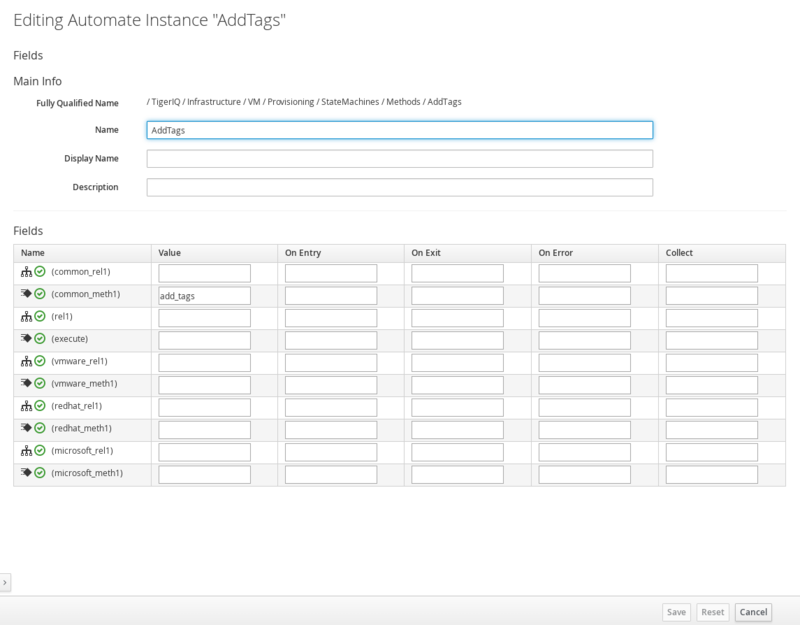 With the CloudForms integration with Tower, once you configure the provider, you get a nice little dynamic inventory set up for you. The issue we were facing is that the default method of accessing those machines is SSH, and we needed to set the Windows machines to use WinRM. We want Windows boxes to use WinRM and Linux boxes to use the default SSH, and we have one dynamic inventory. We could, of course, set that up at the host level, but we want a way to automate the full process of deploying either a Linux or Windows machine and including Tower actions as a part of the process, without changing any variables manually on the Tower side. This is great news, because if you didn't know, we can override variables at the group level; variables like the ansible_connection, which determines whether to use SSH or WinRM to connect to the target host. 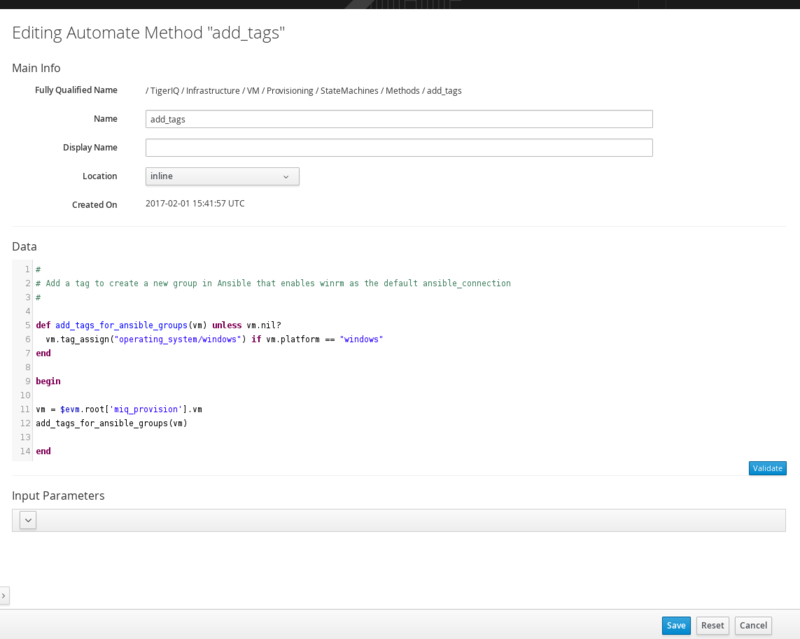 Highlight these, one at a time, and select Configuration/Copy this [Instance|Class]. Make sure you leave the "Copy to same path" box checked. vm.tag_assign("operating_system/windows") if vm.platform == "windows"
it would be worth your time to read about the lifecycle of the Request and Task objects during the automate process. These concepts are explained in detail in Peter McGowan's indispensable book. 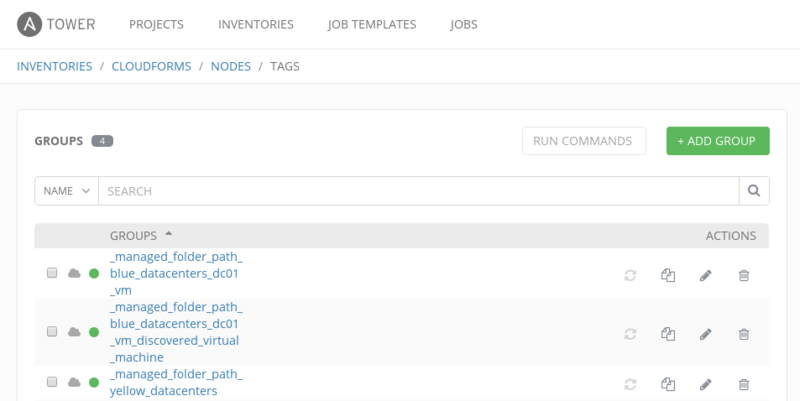 The CloudForms/ManageIQ portion of our journey is complete. 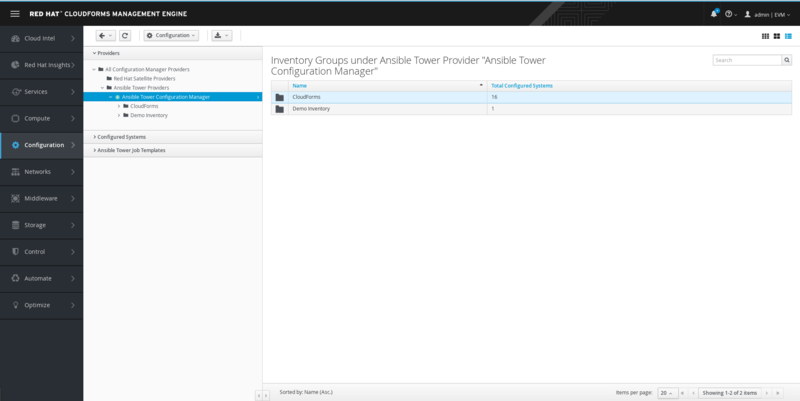 On to Ansible Tower. Now the default connection for everything in this group will be WinRM instead of SSH. 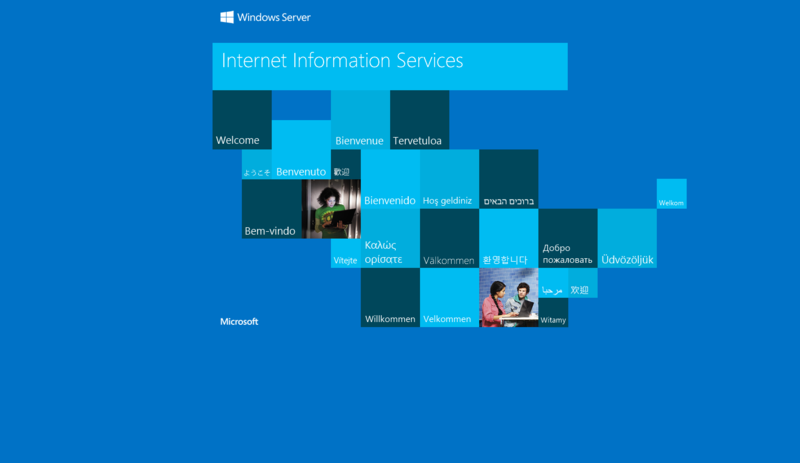 So if we have a Job Template in Tower that runs a playbook that installs an Internet Information Services (IIS) server, and we associate that job with a service bundle in CloudForms that provisions a Windows server, everything should work without any issue right? WinRM can be a little tricky, you might need to do some troubleshooting. If you get timeout or other errors while testing this, the winping module in Tower is really useful. WinRM is also notoriously terse in its error messages, so it's a good idea to bump up the verbosity. If you edit the Job Template in Tower, you can change the verbosity to 5(WinRM Debug). This should give you some better clues. Keep in mind that the issue is very likely a problem with the target host, like not having "basic auth" enabled or something similar. Troubleshooting Windows boxes is beyond the scope of this post, but there are tons of WinRM troubleshooting tips online. This blog, however, was particularly useful.